Oh my goodness, let me tell you about my first Bernhoft encounter. Way back in 2012 I was at my first Great Escape, it had rained Wednesday through Friday, but Saturday it was sunny and lovely and truly great. I was volunteering that year, and on Saturday my shift didn't start until late but I thought I'd head down for the day because... well, because it was free so why not? I was just on my way past Jubilee Square and there he was, Bernhoft, doing some insane looping and beatboxing and all sorts and I was like, well damn, this guy's good. But apart from 'C'mon Talk' I haven't really paid much attention to anything he's been up to. He even released an EP last year that I didn't even take note of, but that's all about to change. 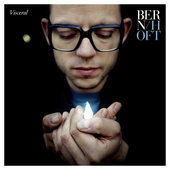 Bernhoft has released a new single called 'Visceral'. I can't believe that this is an artist who has been putting out music of this standard for year and still isn't globally huge. That's just the way it is, I guess. I'm not sure of a good way to even describe the music that Bernhoft makes, it's pop but heavily electronic and hugely R&B influenced. There's far less obvious looping and vocal sampling going on throughout this track but there is a subtle nod during the chorus which works so well. The general message of the song is cool too; dealing with real issues but not in a condescending or preachy way. Oh my goodness, his new EP, featuring 'Visceral' obviously, The Morning Comes is released on the 20th January. That's so soon. Cop it.